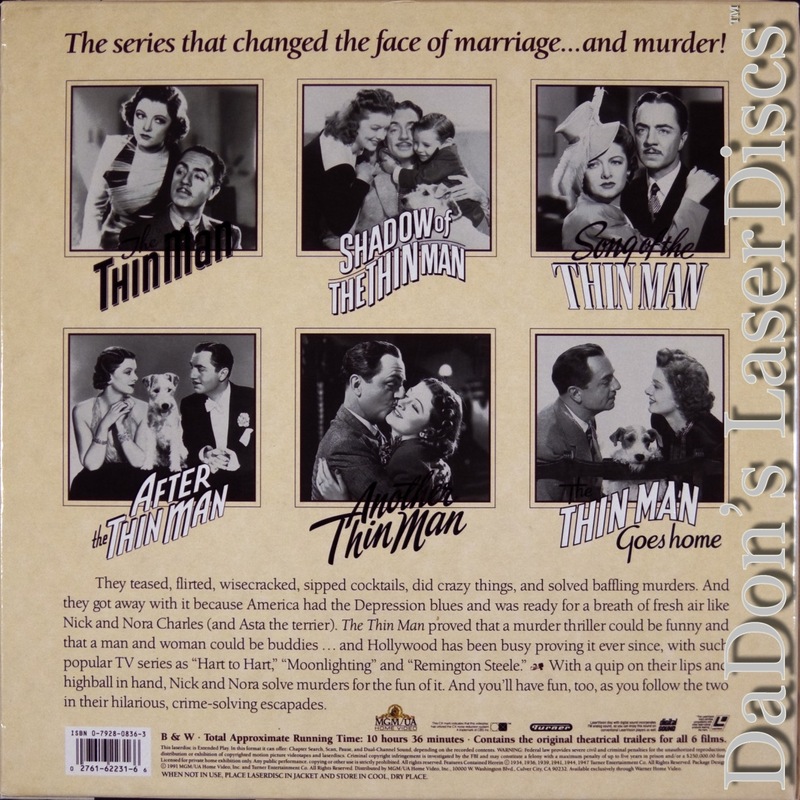 "1 of Most Successful Detective Series in Film History"
The Thin Man Collection 1934 - 636 min. 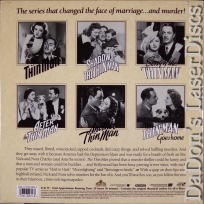 - Black and White Genre: Thriller Not Rated Country: USA LaserDisc Movie Storyline: THE THIN MAN is the first installment in one of the most successful detective serials in film history, based on the 1932 novel by Dashiell Hammett about stylish sleuthing spouses Nick (William Powell) and Nora Charles (Myrna Loy). Powell and Loy's quick-witted repartee set a Hollywood tradition in their crackling debut as they investigate the disappearance of a wealthy inventor. 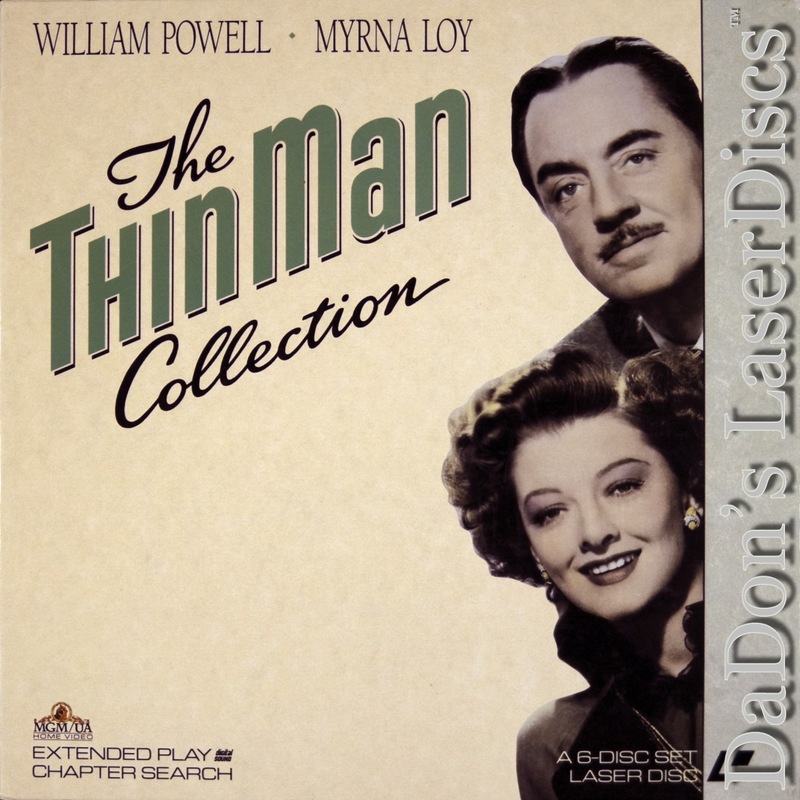 A blockbuster hit in 1934, THE THIN MAN's convoluted mystery plot moves at a rapid-fire pace that will delight modern viewers. Director W.S. Van Dyke's fast but loose methods helped stars Powell and Loy create great verisimilitude in their marital relationship in spite of the highly stylized script. Even the couple's pet dog, Asta, brings home a finely tuned performance, and the supporting roles are filled with a crew of comical characters. THE THIN MAN must not be missed by fans of the detective genre.